Okada Projects Plasma Ground: The Plasma Ground is connected at the ground side of the ignition coil and increases performance and engine efficiency by creating an ultra fast alternating current at the secondary spark discharge, this is called Coil Ground Tuning. Plasma Ground works perfectly together with all other Okada Projects Plasma Ignition parts and increases secondary spark discharge current. Increase in secondary current is extremely important, since it creates a faster burn for high performance engines. 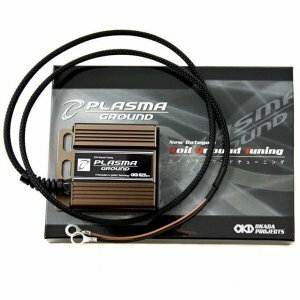 The Plasma Ground is engineered to increase spark effectiveness on BMW engines, and is 100-percent compatible with any late model OBD and engine control units.